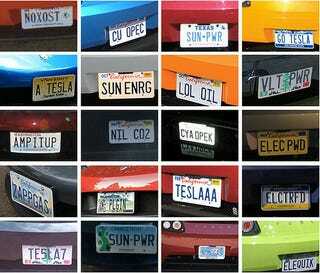 This collage of license plates came from a March gathering of Tesla Roadster owners, including the aforementioned LOL OIL. Group smug, anyone? Funny, My License Says "WHERE2CHRG"